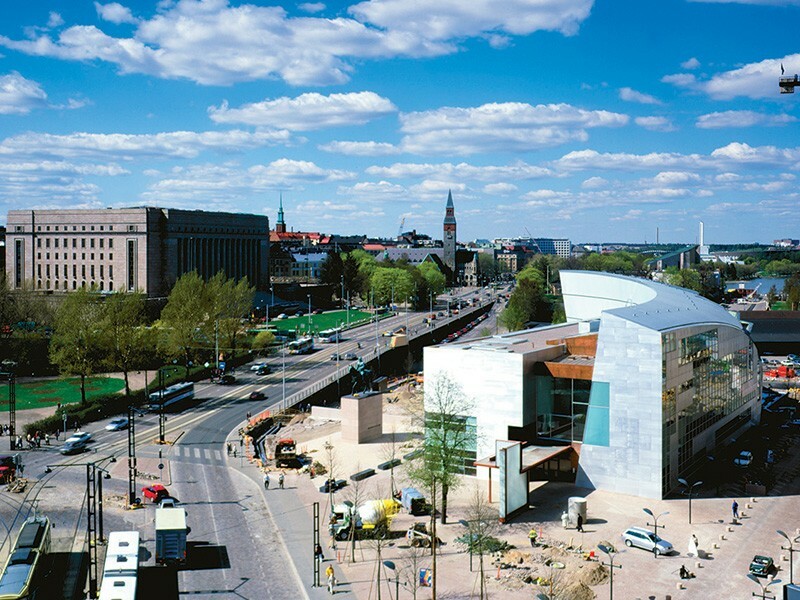 KIASMA MUSEUM OF CONTEMPORARY ART TURNS TWENTY! 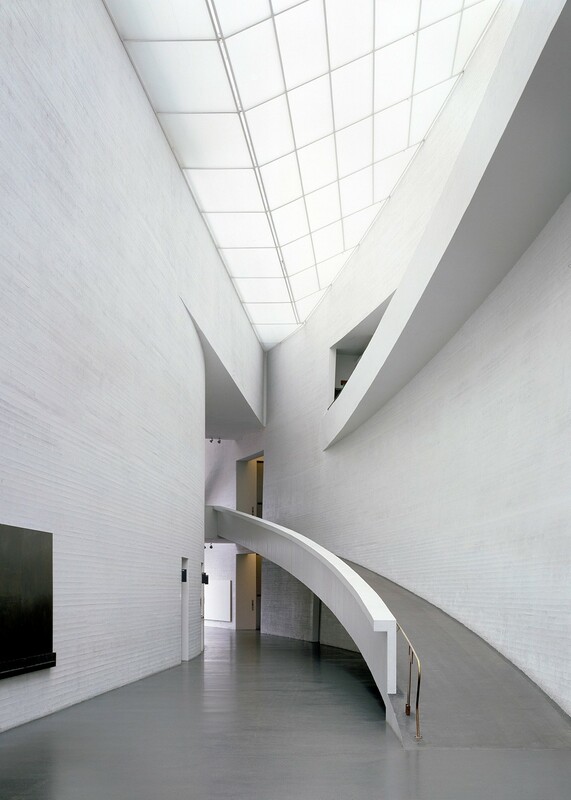 The Kiasma Museum of Contemporary Art opened to the public May 31st, 1998. Sited in the heart of Helsinki, the project began in 1992 as a competition between 416 architects. 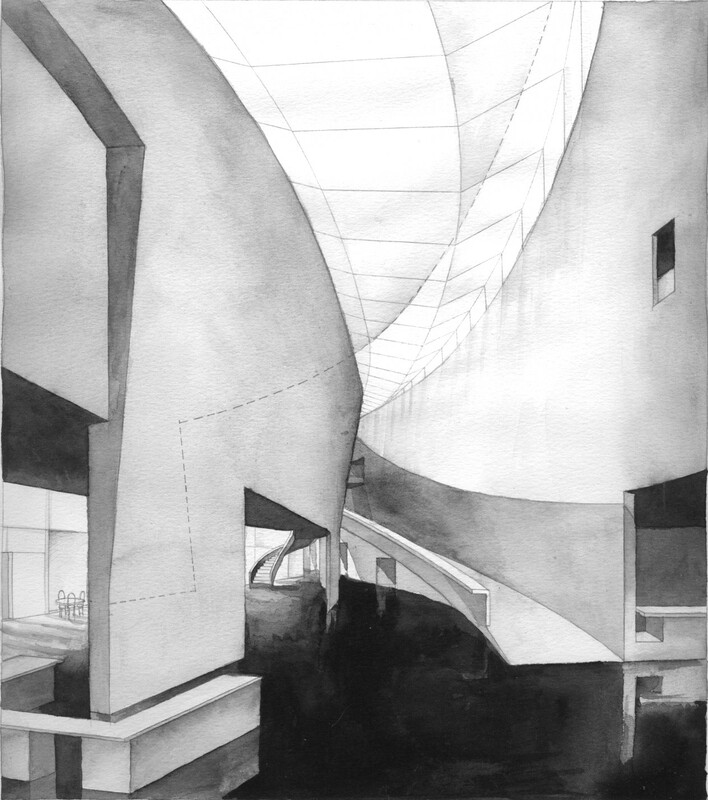 Steven Holl’s winning concept of Kiasma involved the building’s mass intertwining with the geometry of the city and landscape which are reflected in the shape of the building. An implicit cultural line curves to link the building to Finlandia Hall while it also engages a "natural line" connecting to the back landscape and Töölö Bay. Inside the museum provides a variety of spatial experiences. The firm considered the range of contemporary artwork, and tried to anticipate the needs of a variety of artists. The general character of the rooms, which are almost rectangular with one wall curved, allows for a silent yet dramatic backdrop for the exhibition of contemporary art. These rooms are silent, but not static; they are differentiated through their irregularity. Particular to Helsinki is the horizontal natural light of the northern latitudes. The slight variation in room shape and size due to the gently curving section of the building allows natural light to enter in several different ways. The curved roof allows secondary skylights while horizontal light is deflected down through the section along the center. 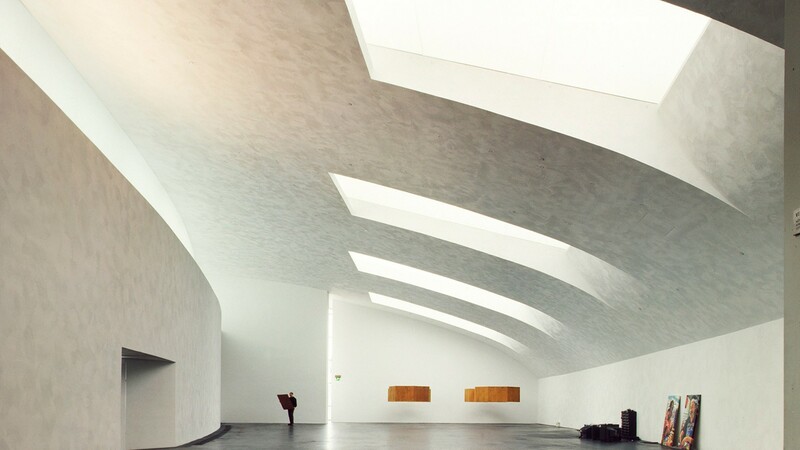 Thus natural light is able to penetrate both upper and lower levels of the museum. In addition, the curved roof section with its "refracting" skylight introduces another means for distributing light to galleries below the top level. 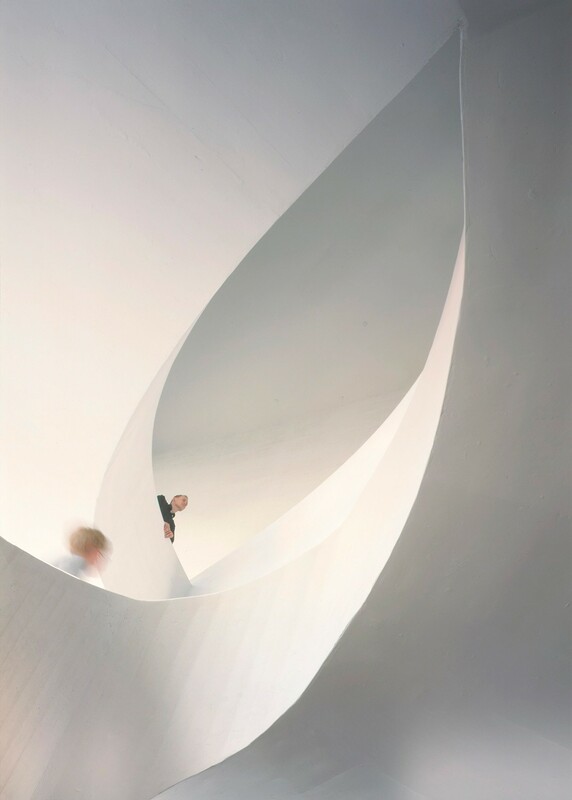 The dynamic internal circulation of the building, with its curving ramps and stairs, allows for an open interactive viewing, inspiring the visitor to choose his or her own route through the galleries. Unlike a hierarchical sequenced or ordered movement, this open ended casual circulation provokes moments of pause, reflection, and discovery. Congratulations to Kiasma Museum of Contemporary Art for a great first two decades! Thank you to all who collaborated on this seminal project including Jukani Pallasmaa, Vesa Honkonen, Timo Kiukkola, Insinööritoimisto OY Matti Ollila & Co., Arup, Insinööritoimisto Olof Granlund OY, Tauno Nissinen OY Consulting Engineering, L'Observatoire International, Markku Kauriala Ltd., Engineering Office Aulis Bertin, Ltd, Teatek, Arkkitehtitoimisto Alpo Halme, and Seicon OY.